It takes a lot to wipe the smile from Gary Comerford's face. For more than 20 years, he's lived happily in the government-run Fairweather House disability group home. But Mr Comerford, who has an intellectual disability, says he was made to feel terrified in his own home when a support worker allegedly assaulted him after an argument about a key to the letterbox last year. The alleged attack shocked his family. But it was the government's response that outraged them even more. "Pretty much everyone that's been involved in it has just hoped for it to be swept under the carpet and go away," Michael Comerford, Gary's brother, said. "But this is something that can't just go away, and people need to be held accountable for not doing their jobs … with vulnerable people as well, they need to be taught a lesson." Mr Comerford's case is one of two investigated by Fairfax Media in which the government has failed to properly tell police when its disability support workers are accused of assaults or other criminality. The ACT government has instead either dealt with such claims in-house, or relied on private consultants to make discreet inquiries. Serious questions have been raised about the handling of the two cases, which have angered both disabled residents who were allegedly assaulted and support workers who say false accusations ruined their careers. In the first case, Mr Comerford and another client at Lyneham's Fairweather House group home were allegedly assaulted by a support worker, also the partner of a senior Disability ACT manager, in early 2014. The allegations were not properly reported to police for 14 months, and the Comerford family believes the case was deliberately stalled. It took media inquiries in June to prompt a proper referral to police and jump-start a delayed internal investigation that had failed to even interview the complainant, Gary Comerford, until last month. In the second case, at the Burn Street group home in Downer, a support worker was sacked and two others suspended in 2012, largely on questionable evidence from a colleague made in a deeply divided workplace. Their accuser made allegations of routine assaults, physical and verbal abuse, theft and fraud, and said one man had showered clients together and with a broom. The claims were handed to a HR consultancy to examine rather than to police, despite the carers pleading for it to be handed to law enforcement, believing they were wrongly accused. One says he wrote to Disability Minister Joy Burch and urged for police involvement. Ms Burch said neither she nor her directorate received that letter. The woman who made the claims, Julie Vojneski, has now herself been charged with twice assaulting a profoundly disabled client at the same group home. Jan Pfizner was one of the support workers accused by Ms Vojneski, and said the ordeal destroyed her career, despite being eventually cleared of any wrongdoing. "I went on sick leave, I was denied Comcare and I've virtually had a nervous breakdown," she said. "I went back to the office for a little bit ... and I couldn't hack it at all, because once something like that happens to you, you know it's the biggest grapevine in the whole of Canberra. I felt that my reputation was ruined." Disability ACT says it does not refer all reports of assault to police, only those where it has a "reasonable suspicion" that the alleged behaviour happened and is criminal in nature. It says it takes such allegations extremely seriously and that its response is governed by legislation and workplace agreements. But disability advocates say the ACT sector is resistant to outside oversight. The Canberra-based Advocacy for Inclusion says the sector prefers to deal with allegations of violence and abuse internally, and plays a concerning "gatekeeping" role in deciding what goes to police. General manager Christina Ryan said: "People would be shocked to know that, but the truth is it happens everywhere and it happens all the time. It is endemic." Ms Ryan and other advocates gave similar evidence to a federal committee at Parliament House recently, warning politicians that violence against people with disabilities was happening "just outside these doors". Six investigations of alleged assaults by support workers on their disabled clients took place in the past two years, according to Community Services Directorate data. Police records, however, show they received just one referral from the directorate in that time. A directorate spokesman attributed the discrepancy to a "systems issue", blaming the way police recorded their data, which would be addressed. 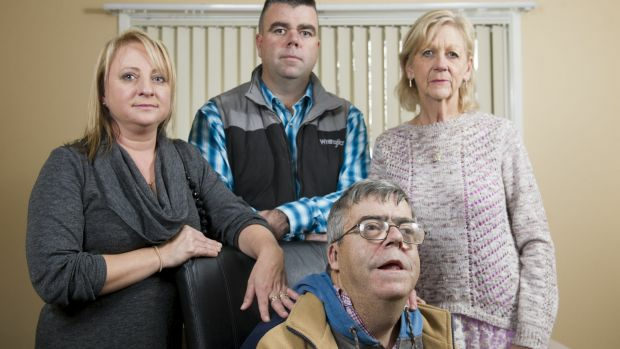 In April last year, the family of Gary Comerford, an intellectually disabled resident at Fairweather House, complained he had been assaulted by a carer, whose partner was a senior Disability ACT manager. The Comerford family said police never contacted them and the internal investigation went nowhere for more than a year, until Fairfax Media raised questions about the case. Within days of the media inquiry, the family was being contacted by government investigators and later by police. The government denies it failed to refer the assault to police, saying it was reported in April last year. It says police didn't record it as a "formal incident", prompting the government to hand it over again in June. Yet the government's claims do not accord with the experience of Mr Comerford's mother Carol and brother Michael. They say the government only approached them last month to obtain permission to allow police and internal investigators on to the Fairweather property to conduct interviews. The Community Services Directorate said it acted to prevent a conflict of interest arising from the accused carer being in a relationship with a Disability ACT senior manager. It says the manager had no role in the investigation, and Fairfax Media does not suggest to the contrary. Ms Comerford said the government only appeared to begin their internal investigation when media inquiries were made in June. She said the family was treated with contempt by Disability ACT when they made the complaint. "I had always felt really frustrated that no one seems to be able to sort the situation out," she said. "Because in my opinion, nobody has the right to touch anyone else, particularly vulnerable people." "They ignored us, they ignored me, and they ignored my and Michael's attempts to get something done about it." Gary Comerford had lived at Fairweather for more than 20 years, and said he loved the home and the staff there. But his family say the alleged assault terrified him, and left him unable to return while the support worker was still there. "I've got rights, I live here," he said. "I don't like him, I don't want him back in here." 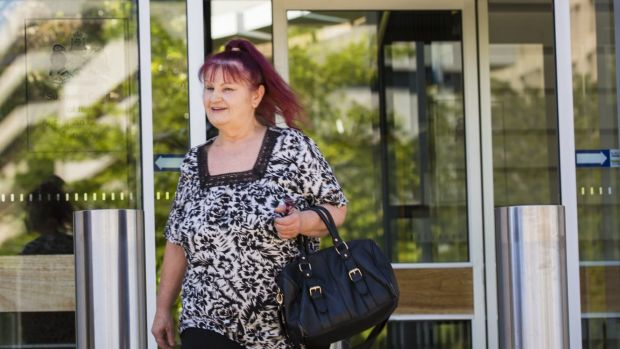 In the second case, at Burn group home in Downer, support worker Julie Vojneski alleged three of her colleagues routinely assaulted, abused and stole from their clients, and defrauded their employer. The claims were handed to a consultant specialising in workplace investigations but were not referred to police. In responding to the claims, the Community Services Directorate says it has no record of whether it reported the case to police but says it has since rectified any "error" that may have been made. The three carers - Bernie Roveta, Clinton Dahler, and Jan Pfitzner - were suspended immediately. All of Ms Vojneski's allegations were found to be unsubstantiated except for one, which saw Mr Dahler sacked for supposedly showering three clients together and washing them with a broom. The suspended workers were so sure of their innocence they pleaded with Disability ACT executives to refer the allegations to police, as they were convinced a formal inquiry would exonerate them. The allegations hinged on Ms Vojneski's credibility, which the consultant seriously questioned. Had the case gone to police, her credibility may have been further undermined. At the time of the consultant's probe, Ms Vojneski, mother of murderer Aleksander Vojneski, was being interviewed about her son Aleksander stabbing to death his girlfriend Paula Conlon in her Macgregor home. An ACT Supreme Court judge later suggested she may have lied under oath during her son's trial when she introduced the possibility that a mysterious stranger was stalking Ms Conlon before her death, something which she had never mentioned to authorities before. Prosecutors had earlier accused Ms Vojneski of tailoring her testimony in the murder trial to protect her son. Since accusing her colleagues, Ms Vojneski was charged with two counts of assaulting a profoundly disabled resident at the same group home. She has pleaded not guilty in the ACT Magistrates Court. Mr Roveta and Ms Pfitzner both told Fairfax Media the consultant's investigation of Ms Vojnevski's claims was deeply flawed. The only victim of the alleged shower incident who could communicate verbally was not interviewed, nor were the guardians of the other two profoundly disabled clients. Mr Roveta said the guardians and families of the clients were willing to speak in their defence, but were excluded from the investigation. "The word of Ms Vojneski was taken as Gospel," he said. "Three staff who have worked collectively for over 50 years in the department were removed virtually overnight, again with no regard for the emotional well-being of the clients." Some of Ms Vojneski's allegations were made in identical terms against Mr Roveta and Mr Dahler, to such a degree that the investigator conceded it was difficult to tell if they were "ascribing the actions of one to the other". Many of her claims were unsupported by evidence and easily disproved. The consultant's findings described Ms Vojneski as having a perceived tendency for "extreme comments and story-telling". Some of Ms Vojneski's allegations were variously described as "strange", "unlikely", "unsubstantiated attacks", "hard to believe", and made in a delayed fashion with "no supporting evidence". The investigator found claims that Ms Vojneski had "problems with the truth" to be valid. However, the consultant's probe still found Ms Vojneski was probably telling the truth when she said she walked into the home at the start of her shift to see Mr Dahler showering three clients together and also with a broom. No one else saw the incident and the house manager, Ms Pfizner, said it was impossible because the door was always bolted shut and would have needed opening from the inside when Ms Vojneski arrived in the morning. Ms Pfitzner, the manager of the Burn Street home, had worked with Mr Dahler and Mr Roveta for many years, and said she never witnessed any of the behaviour of which they were accused. She told Fairfax Media she had "no doubt" the allegations were false and said it had shocked her that they had not been referred to police. "If it was that serious that we all got stood down ... I was surprised that it all got handled like that," she said. Mr Dahler later produced a work diary for that day, which contradicted Ms Vojneski's claims that he couldn't have had the time to shower all three individually between the start of his shift and her arrival. Ms Vojneski declined to comment when approached by Fairfax Media. Disability advocates say the practice of gatekeeping was common but dangerous for governments dealing with complaints of alleged assaults in supported accommodation. The ACT government's handling of two cases of alleged assault and abuse by its support workers have frustrated and angered both the family of a disabled resident, Gary Comerford, who lives at the Fairweather group home in Lyneham, and support workers who say they were falsely accused at the Burn group home in Downer in 2012. Neither case was properly referred to police until Fairfax Media inquiries in June. Until that point, they had been dealt with internally or handed to private consultancies to investigate. Those involved in both investigations have claimed they were mishandled, and say the cases should have been sent to police. In response, Disability ACT said it took such matters extremely seriously, but only handed allegations to police if it formed a "reasonable suspicion" that the alleged acts occurred and were criminal in nature. The government also maintained it referred the Fairweather assault allegation involving Mr Comerford to police when it was first raised in April 2014, although that does not accord with the experience of the family. People with Disability Australia president Craig Wallace said the tendency for governments to take on a gatekeeping role with such allegations was "exceedingly dangerous". "I would be seriously concerned if there are instances of gatekeeping in terms of assault against people with a disability in supported accommodation," Mr Wallace said. "They should be sent straight into the justice system, and unfortunately we seem to sometimes operate in this parallel universe where there are expectations that these issues won't be treated as criminal matters. "Our view is that assault is assault, violence is violence, and it should always be treated as such." ACT Disability Services Commissioner Mary Durkin, while not commenting on any specific case, said allegations of assault within disability group homes should generally be handed to police for investigation. Ms Durkin said she was working with National Disability Services, the peak body for non-government disability services, to develop a zero tolerance policy. "Reporting to police has been a central element of national discussions around this issue," she said. Mr Wallace said referrals were crucial to allowing vulnerable Canberrans access to the justice system. He said the evidence his organisation had seen – both through the current Senate inquiry into violence, abuse and neglect against people with disability in institutional and residential settings and the Royal Commission into Institutional Responses to Child Sexual Abuse – showed that gatekeeping was a "really bad process". "It means that there's no healthy sunlight on [allegations], and dealing with them internally often doesn't lead to an outcome income where people who are dangerous are removed from the situation or face the criminal justice system."